Chronic lateral ankle pain is a term given to refer to ongoing discomfort associated with a previous ankle sprain or ankle fracture injury. In addition to pain, there may be ankle stiffness, swelling, and instability. 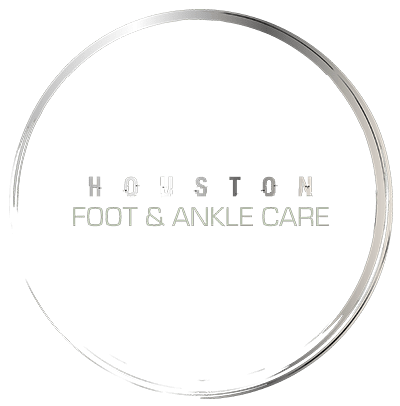 This is more frequent in patients who have suffered multiple ankle injuries, which leads to the formation of scar tissue in the ligaments of the ankle. Chronic lateral ankle pain may also be triggered by the presence of arthritis in the ankle joints, which causes inflammation in the soft tissues. Nerve damage or compression is also associated with this type of ankle pain. Most cases of chronic lateral ankle pain are treated with NSAIDs or prescription medications aimed at reducing inflammation in the affected area. It is also important to support the ankle through the use of a brace or custom orthotic for motion control and stability. If a fracture is present, and surgical removal of bone fragments is not necessary, immobilization will be prescribed to allow the bone to heal without the stress of normal weight-bearing activity. For long-term improvement, physical therapy exercises are crucial to strengthen the foot structure and enhance stability.